America’s largest school district has a new leader. 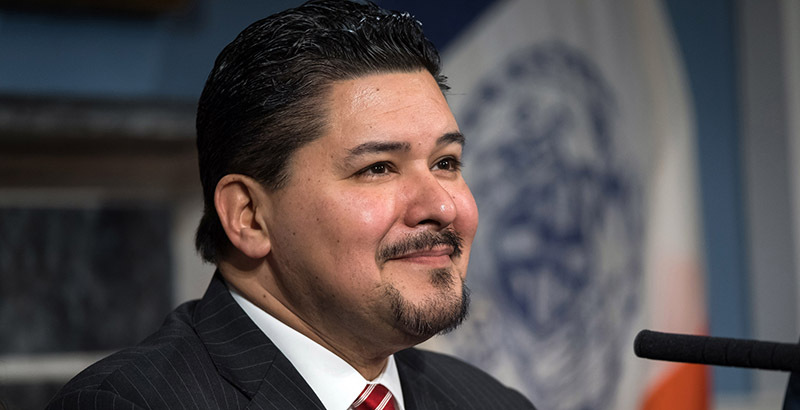 New York City Mayor Bill de Blasio announced Monday that Houston Superintendent Richard Carranza will succeed Chancellor Carmen Fariña, taking charge of the district that serves 1.1 million public school students. Pointing to Carranza’s 18-month tenure in Texas, as well as his previous four years leading schools in San Francisco, de Blasio said his newest appointee has a demonstrated track record of working to close the achievement gap — a top priority of the mayor’s “Equity and Excellence” agenda. Scanning back through the archives, from his first day in San Francisco through Monday’s announcement, here are 13 links that give a better understanding of the challenges Carranza has faced, and the mark he’s left on previous districts.